Lower income family growing up so we never drove a new car. 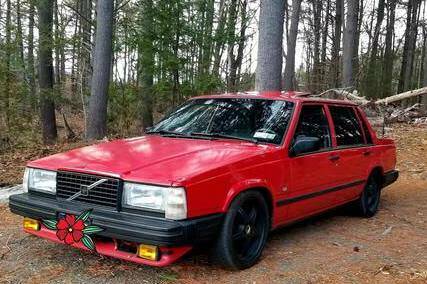 Most of the cars we had were given to us, like my first taste of Volvo which was a '86 744 GLE. A lady gave it to us when my sister crashed her old car. She then gave it to me. I spent a lot of time wit that car and still have it. Years pass, I'm still driving it, and I now have some extra money to buy a car I will drive when my Honda lease is up. 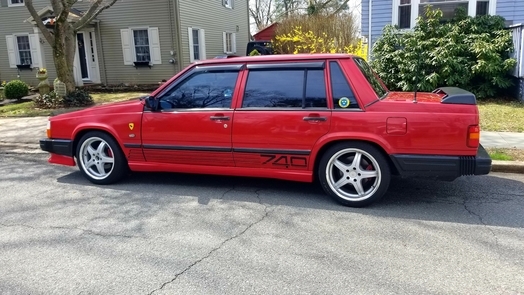 I find a mint 744 Turbo being sold on craigslist. Ends up being a car that another member on here is selling. I basically loose my **** when I find it. It was my favorite car, but turbo, fast, manual and all around awesome. I get in contact, drive about 3 hours away to see it and buy it on the spot. Mind you, this was the only 744 in this condition for sale anywhere in the NE. It's now my car. That's the short but sweet background. 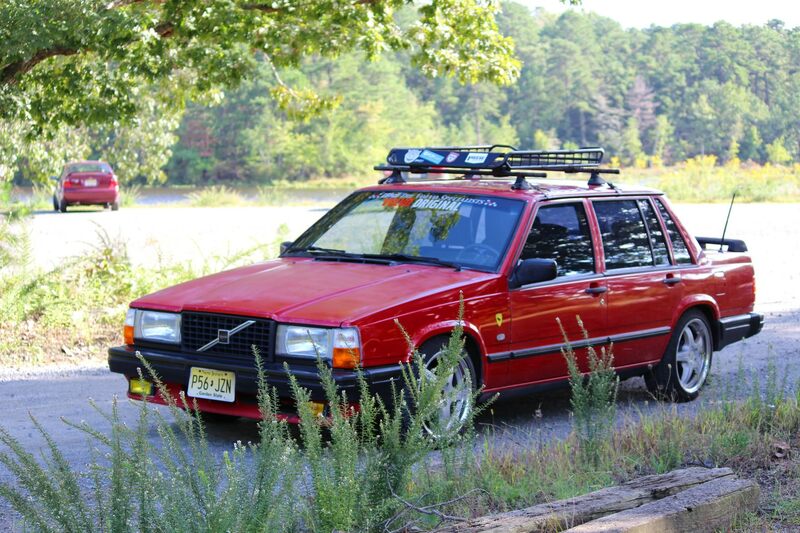 I named the car the swedish sleeper because thats exactly what my goal was. The car had obviously been tinkered with over the years. I bought it from the 2nd owner with AEM stickers on the rear window, leading me to assume that performance modifications had been done... but what. I didn't know. 2nd owner tells me its sitting on cut springs and desperately needs new suspension. Also that the gas gauge doesn't work and the speedometer chooses to work when it wants to. That's about all I knew at the time of purchase. Oh, and the original owner removed the OEM spoiler... WHY! BOTH driver side and passenger side heated seats work. The automatic sunroof works. It's a 5 speed manual. It comes with the rare coin tray and snow scoop on the hood. Comes with Voxx wheels all around. Cosmetically great except 2 minor dents and a faded hood. Came with the rare checkered pattern cloth seats. Volvo leather wasn't that great so I'm happy. After owning the car for about a month, I'm driving it home from work and the car wont accelerate. Peddle to the metal and nothing. I research online and replace the MAF. 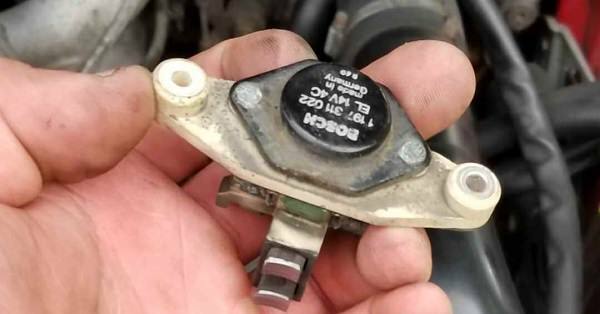 $300 later, the issue was fixed. Some time passes and I still cant figure out the gas gauge. Whatever. Onto the more important stuff. Temp gauge fails... I replace it. Onto the suspension. I browse IPD's website and view their classifieds. There was a guy selling 740 lowering springs, IPD front sway bar and Bilstein front struts and rear shocks for $400 plus shipping. I respond and we agree $400 total. Everything arrives and I see the shocks and struts are leaking... I'm mad. Its okay though because the front sway bar and full spring set is over $400 by just the two things alone. In the meantime, I buy some generic shocks and struts off Ebay to be a place holder while the Bilsteins are sent away for rebuild. I go to my buddies shop and have them throw in the lowering springs and rear shocks. Couldn't throw in the struts b/c no dust boots. Fast forward some time, dl242gt and I spend about 8 hours putting the new sway bar in as well as the new struts w/ dust boots and bump stops. Now the car has all around new suspension. Onto the mechanicals. The car was having intermittent stalling issues at idle. 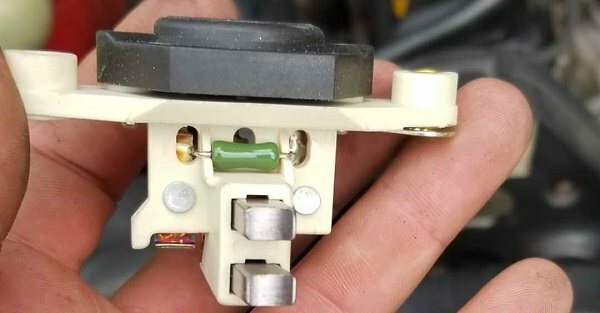 Posted to the forum and learned it could be the suppression relay, a ground issue, hall sensor issue, fuel pump relay or the ignition module b/c after stalling, it wouldn't restart. Well, with documentation to back it, we replace everything. 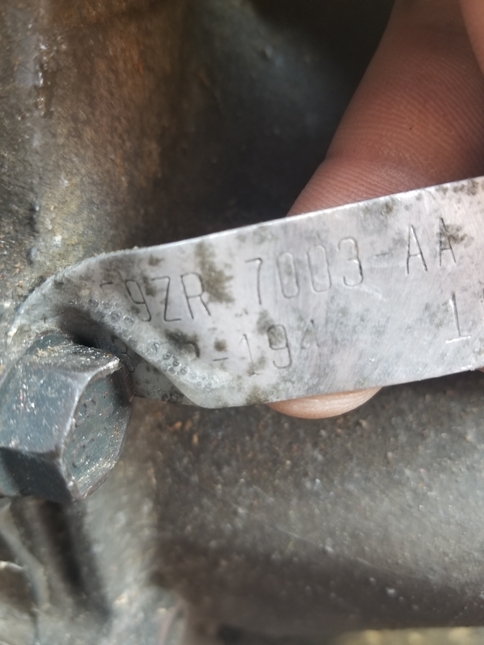 I was able to get my hands on a used cylinder head with a low mileage distributor. Took that and put it on. Stalling issue resolved w/ all new parts. All documented. By this point, dl242gt and I have also added a brand new boost gauge from the famous Dave Barton as well as a brand new manual boost controller. driving standards, dl242gt and take a day to throw in IPD's turbo cam w/ adjustable cam gear... and what a great but tedious day that was, especially when it came to the shims as well as the adjustable cam gear positioning. We removed everything we needed to in order to access the cam, remove the old one and install the new one. After installation, EVERY shim was measured to ensure the proper fitment. Cam is installed. and some other stuff I might be forgetting right now. 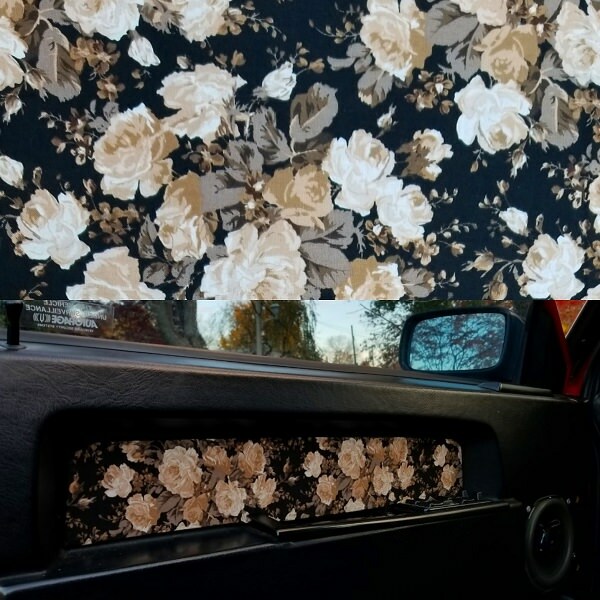 I installed custom door panels and am currently working on the inside. 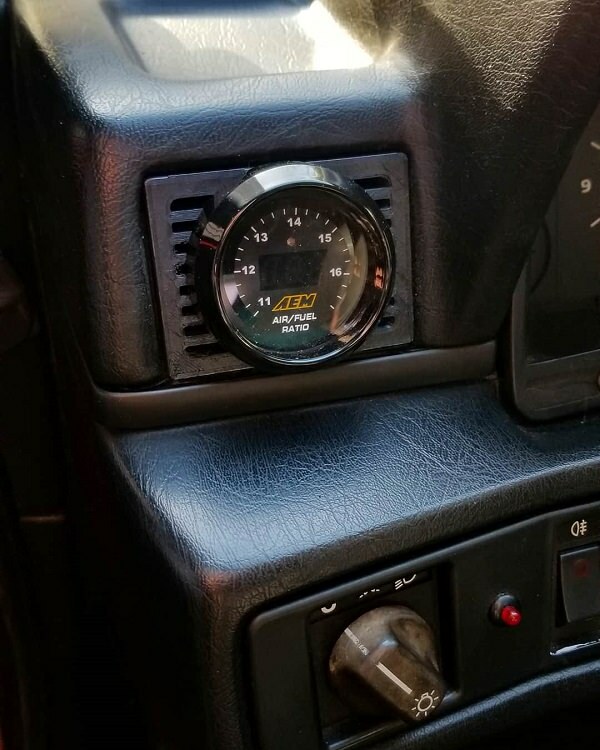 Ive installed a custom AFR guage. Also doing a trans swap soon as well. Last edited by 89_740Turbo; 11-13-2018 at 10:14 PM..
Nice to see you on here! I instantly recognized you from Instagram (I'm @jag.rullar)! it looks great! what wheels are those silver ones? 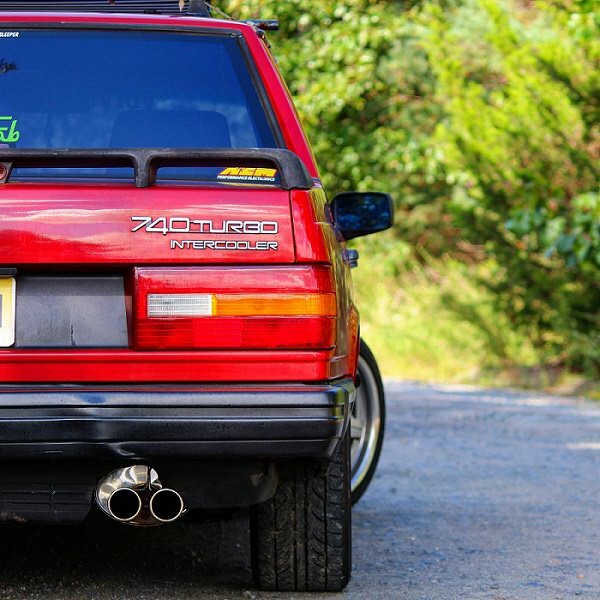 Look like the vox wheels 17 x 7.5 to me that are made for rear wheel drive volvos. IPD sold them a while back. I got a set. Tuner lugs required. They are heavy but strong. Yes, they are the Voxx MG if I recall correctly. I like them in Silver they were white and it really looks better with silver wheels and red car. Replaced brake booster w/ dl242gt and installed brake booster from a 940. Pretty big difference. Next up is a t5 swap. Anyone have any decent leads? Shes a beauty! Picked up a T5 trans with short throw shifter. 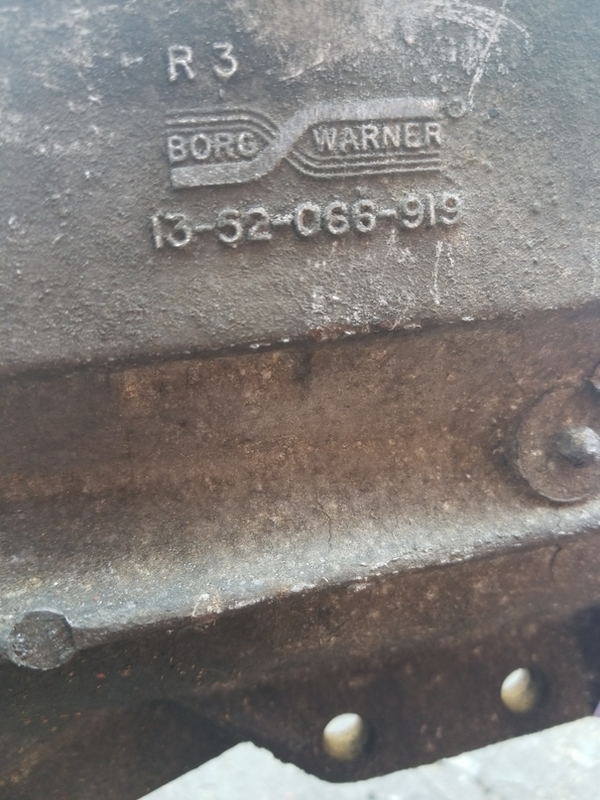 So for those who are not aware, I am currently preparing to swap a 1989 World Class T5 transmission into my 1989 740. My 740 utilizes hydraulic clutch and is not cable clutch. Firstly, I will sum up some of the problems I have encountered so far. 3. 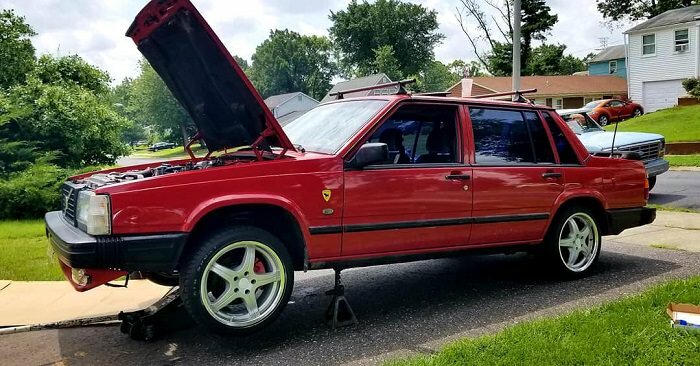 I wouldn't consider this a problem, but choosing which way you will adapt the transmission onto the Redblock will determine how you effectively get it done. The Deeworks way, Yoshifab way or Ben's way. I am using Bens way. 1. 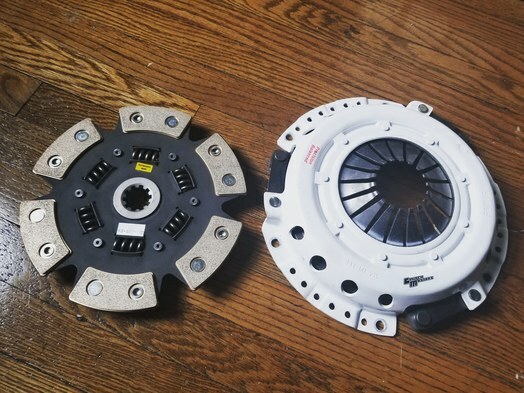 Is there a specific flywheel I need to use that works with lh2.2? If so, which one? If not, can I use the stock T5 flywheel from 1989? 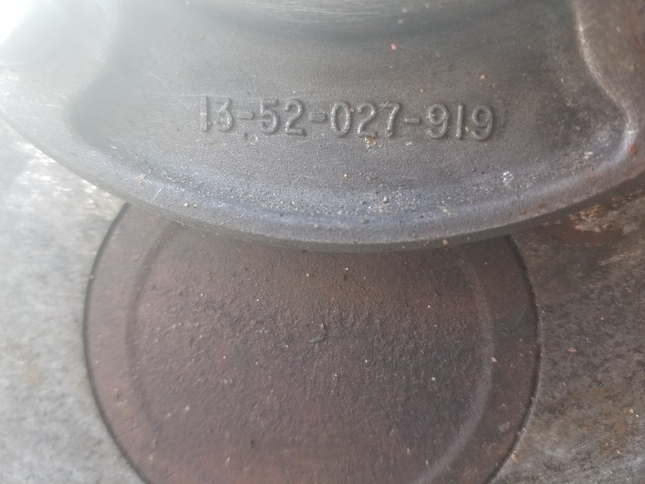 Answer: Any flywheel is fine, flat or dog dish, as long as it is a Volvo flywheel. For my swap, I am using a flat flywheel. 2. Is it correct that I can reuse the throw out bearing that's currently on my 740, or is it the release bearing I can reuse? Answer: Throw out bearing and release bearing are different names for the same thing. For the swap, whether it be 240 or 740, you will need to use a different pilot bearing. Mustang pilot bearing has a little more depth to it, so I will be using that. 3. If I recall correctly, the bellhousing from a hydraulic clutch is different then that of a cable clutch bellhousing. My idea was to get the bellhousing mounted to the trans before I pulled the engine. Would I need another hydraulic clutch bellhousing to do this or can I use a cable one? Would they both work? Answer: Yes, either will work. Different forks with pivot installed in different places. 4. Can I reuse the clutch fork? Answer: Yes. The throwout bearing is the same between cable and hydro so they should both work. Yes, I know I said clutch fork. I have hydraulic so it will still work. That was a typo but still informative. Answer: You will have to make your own. Thanks to arsenix for the answers. 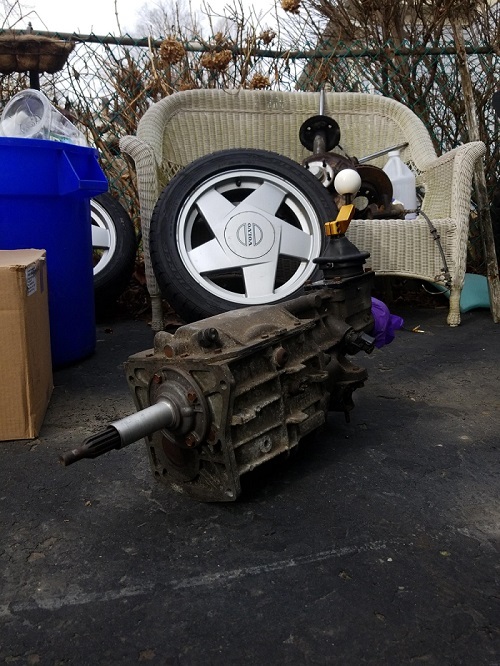 Now onto what parts I currently have, what I am/will be using, what I still need to get AND some questions regarding the transmission itself. I am aware that I am missing stuff right now but I have not moved forward with buying anything else yet because I want to make sure that I am buying the correct thing. 1. Clutch and pressure plate. For this I will be using Yoshifabs stage 3 setup. 3. Modified Bell Housing. Ben from Kaphlenke racing will help with this. Seems like this is taking forever but id rather do it right the first time. I'm doing this swap while also working full time so this is something I am doing whenever I have the free time. Last edited by 89_740Turbo; 03-01-2019 at 09:44 AM..
"2. Is it correct that I can reuse the throw out bearing that's currently on my 740, or is it the release bearing I can reuse? Answer: Throw out bearing and release bearing are different names for the same thing. For the swap, whether it be 240 or 740, you will need to use a different pilot bearing. Mustang pilot bearing has a little more depth to it, so I will be using that. " You realize that the throwout/release bearing and the pilot bearing (or, often, bushing) are two different things, right? 1st gear: 3.97 2nd gear: 2.34 3rd gear: 1.46 4th gear: 100 5th gear: 0.79 Rev: 3.70 Input shaft length: 7.41" Input shaft diameter: .59"
Picked up a Stage 3 from Clutch Masters in CA. Good for up to 360ft/lbs of torque. I wont be near 360 but the purpose of getting this now is because I know I will want to have more power in the future.